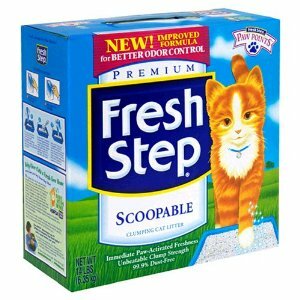 Fresh step is a brand of cat litter that uses natural plant extracts to trap in the smells associated with cat litter and prevent them from spread through the house. The litter is made from clay and is also flushable making it easy to use and dispose of. This is the basic litter from the Fresh Step range that is made from clay so is highly absorbent while works to eliminate the odours generated in the litter. It includes their paw-activated fresheners and once the largest chunks of mess has been shaken out of the litter, it is flushable, meaning it isn’t filling up your garbage bins. The 21-pound bag has a RRP of just $15.99. 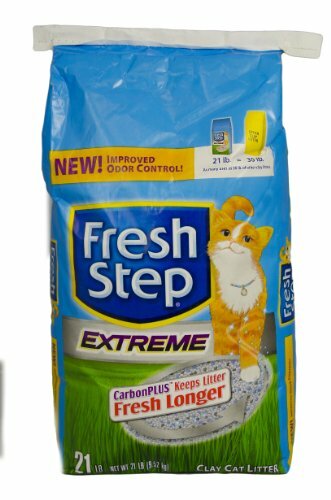 Fresh Step litter works to earn its name by using natural plant extracts to trap the odour into the cat litter and avoid it tracking around the house with your cat. This gentle fragrance is ‘paw-activated’ meaning that it only works when little paws are walking through it. The litter also has anti-microbial properties that stops the growth of bacteria that creates ammonia in the litter tray, another source of very unpleasant smells. The clay used is also formed from volcanic ash, meaning it is high quality and absorbs the liquid then forms into strong clumps. This means when you scoop up the litter, anything wet clings together so can easily be removed and thrown away. The plant extract works with the clay that the litter is made from as just 5 grams of activated clay can hold the surface area of a football field to take in odours. If you want to swap your cat to Fresh Steps litter but want to avoid the problems associated with litter tray avoidance, then here are a few simple steps. Firstly, mix half and half with the old litter and the new one in their existing tray. Do this for a few days for them to get used to using it and gradually up the ratio of the new litter against the old one. If you are wanting to feature in a new litter tray as well, then this is the time to start putting two trays next to each other. Gradually stop cleaning out the old one (it may be a bit smelly but worth it) so that it becomes distasteful for the cat, while the new clean one is very appealing. They will switch to the new tray with the new litter on their own and when they do this, the old tray can be disposed of. Litter tray avoidance is one of the top reasons that cats are abandoned or given to up shelters. But with using good quality litter that is cleaned regularly and in a tray that the cat doesn’t find intimidating, then there is no reason that most cat owners will ever experience the horrible sensation of unexpected, unpleasant little presents left in odd places around the house.